As you can see, the options we offer are incredibly varied. This is because we want to be as thorough as possible when it comes to narrowing down your ideal tenant. Finding someone who perfectly matches your needs will provide you with a stronger investment, as the more suited the tenant to your property, then the more likely they are to keep using it and pay their full rent on time. Traditional but modern front-of-shop LED window cards and TV to grab the attention of passers-by. We have invested in a comprehensive marketing software package that allows us to coordinate all of these activities efficiently. This means that as soon as you want us to start advertising your property to let, we get it done at the click of a button. You can by all means notify us of your preferred tradesman if you have one, and we will do our utmost to use your tradesman to deal with many maintenance issues. However, if you would like us to take care of this for you then we can use reputable, fully trained and insured tradesmen already known to us. You can view our Repairs and Property Management to find out more. As part of our service, we can even pass your details to our preferred insurance company who will offer you a free, no obligation quote for your property insurance. This will save you the time and hassle of having to shop round for insurance by yourself, but it is in no way obligatory – just an extra bit of service designed to make the letting process easier for you. You can find more detailed information about landlord insurance on our Home Insurance for Landlords page. Take full details of your property and provide a comprehensive presentation of the property. Provide advice concerning the legal aspect of letting, tax implications, the correct form of tenancy, rent expectation and the preparation requirements of the property. Vet any prospective tenant and guarantor where required. Negotiate and agree the terms and conditions of the tenancy. Prepare the appropriate tenancy agreement and other legal notices and documents in order to comply with current legislation. Accept a tenant’s deposit against dilapidation and pass responsibility to you to arrange protection as required by current legislation (i.e. using one of the government approved tenancy deposit schemes (TDS)). Accept a tenant’s deposit against dilapidation and protect it with a TDS on your behalf. Inform Spark Energy when the property becomes vacant and again once a tenant moves in. Meter readings are also taken if access to the meters is available. Spark will also inform the water company and local council. Prepare a full written inventory and condition report of the property, including time-stamped photographs. Collect rents, make authorised payments from your account where requested and account to you within 10 days of the rent being received. Operate the Non-Resident Landlord scheme. If it is found there has been a breach of tenancy, take all necessary steps, with the exception of court action, to resolve the breach and report to you, keeping you up to date on progress. Deal with minor maintenance issues that may require attention under your responsibility for upkeep of the property. Confirm such maintenance tasks have been completed to a satisfactory standard before authorising payment to be deducted from your account. Carry out general inspections of the property every 3 months (or other agreed interval). 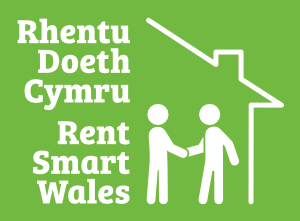 Seek new tenants on receipt of notice to minimise any unoccupied period between tenancies. Carry out a final check out inspection and complete a dilapidation report and arrange quotes where necessary. Rent guarantee insurance for the full term of the tenancy. The price for each package is detailed below. If you feel that any of these service packages could benefit you, then get in touch with us today.